It's finally here! 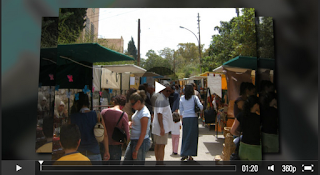 Souq Jara begins this Friday in Amman, Jordan. From The Earth will be at booth R52 with our quality, fair trade products handmade right here in Jordan. In addition to our olive wood kitchen and home items, we will have our stylish, unique jewelry that is sold all over the world. When you stop by our booth you will also see jewelry from our summer collection "Rendezvous Around the World", which features a diverse collection of semi-precious stones and our original olive wood beads. Nicole - thank you for your question. 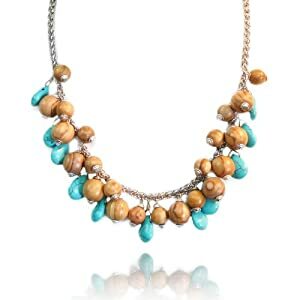 The Cluster Necklace measures 17 inches with a 2 inch extender.